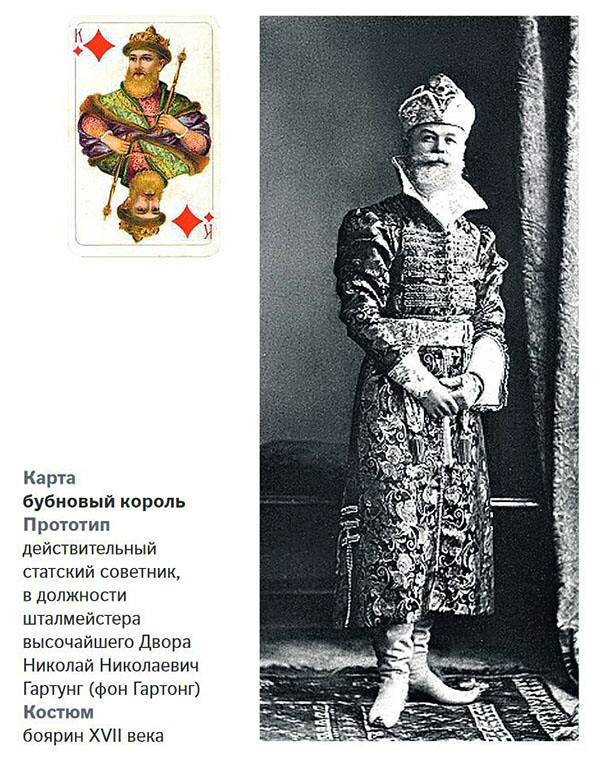 It is commonly known that every mortal is playing cards with fate. 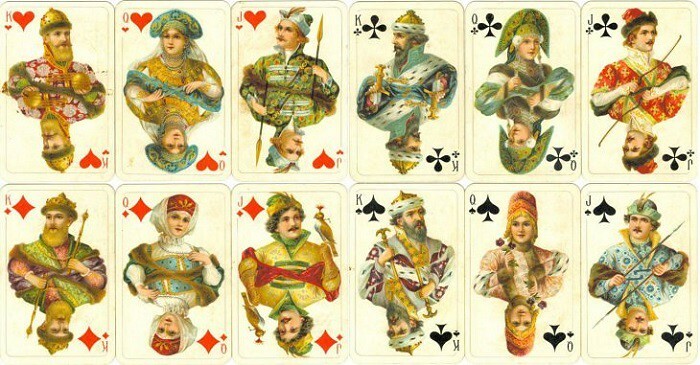 The hand does not depend on the person; it is the question of luck: one gets the aces and other – just twos and treys. 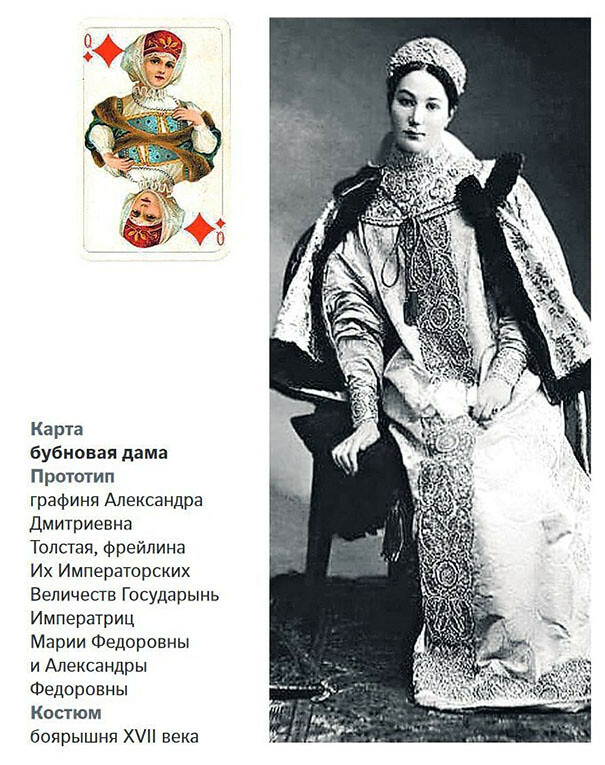 This article will be more interesting for my Russian readers; however, I took time for the translations for the most curious ones. 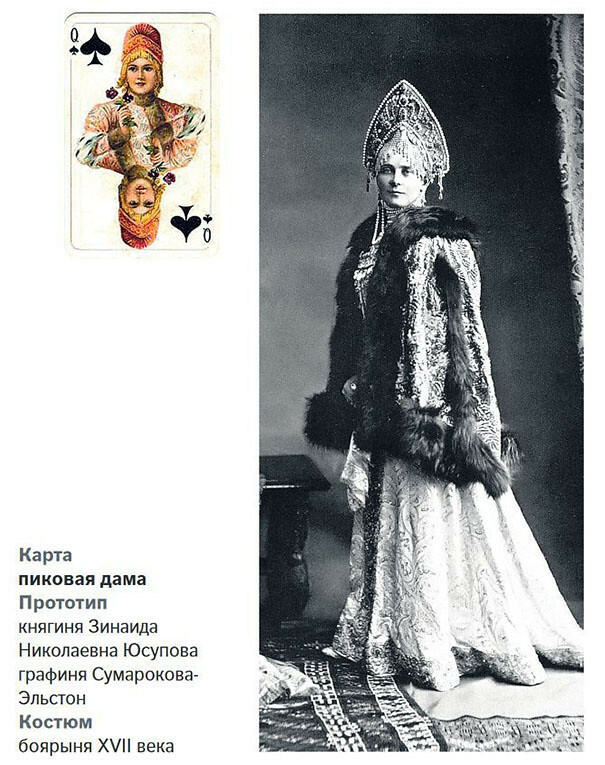 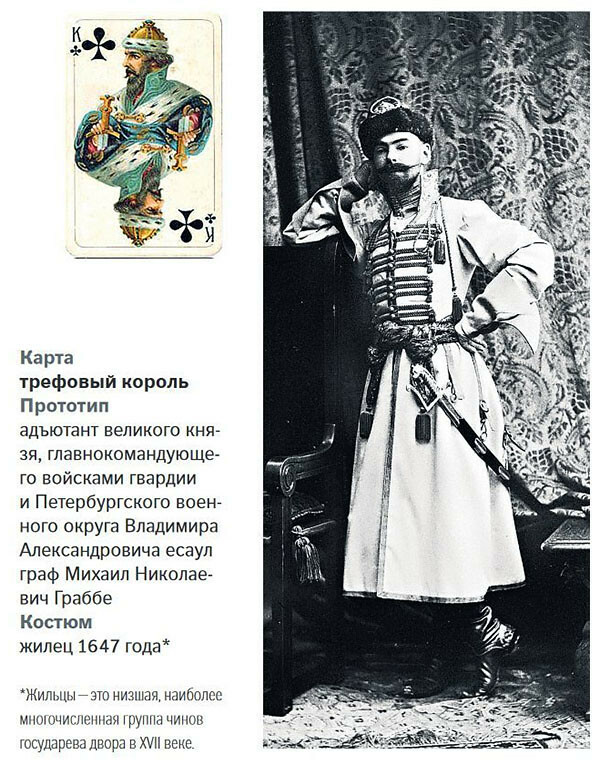 This deck, called “Russian Style” was in every house. 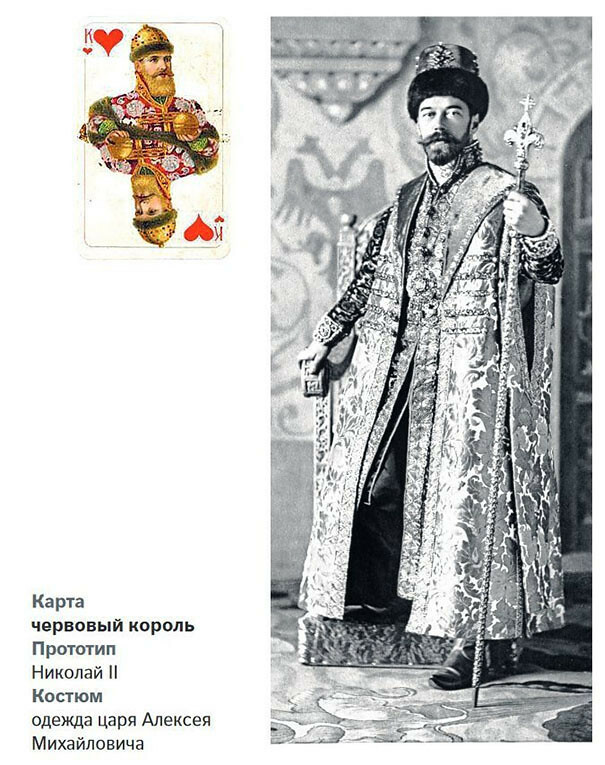 I remember myself, being a kid, looking through all the details of the costumes of those kings and queens. 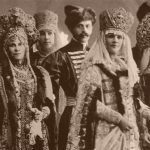 Recently, while searching the internet for some random information, I, as usual, lost myself in the links and found out that those people and their costumes existed for real. 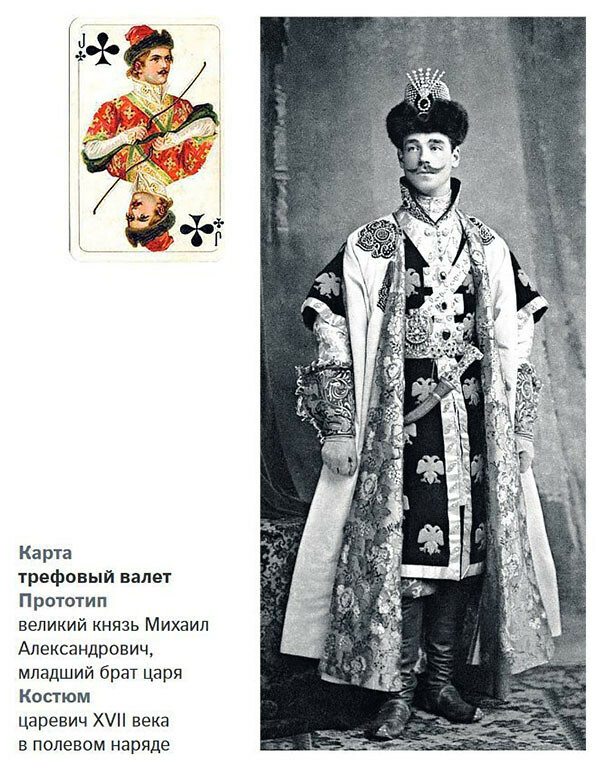 All of them were members of the royal family and the costumes were made especially for the emperor ball in 1903. 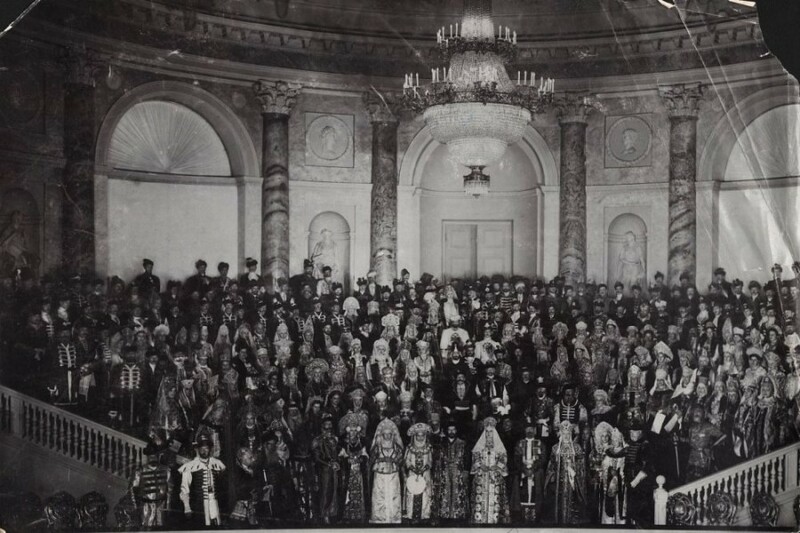 This ball, which took place in the Winter Palace in Saint Petersburg, goes down in history as the most famous and the most grandiose ball during the rule of Nicholas II – the last Emperor of Russia. 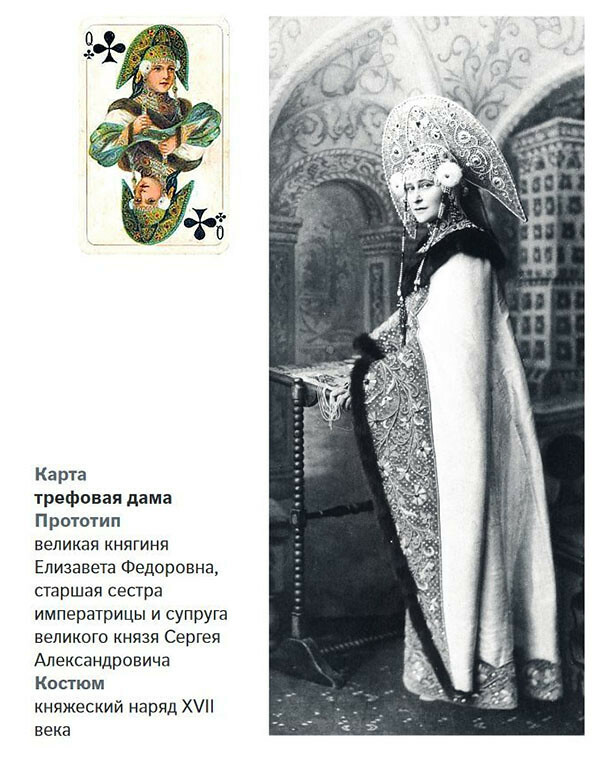 The nobles dressed out in the style of XVII century costumes and were photographed by the best photographers of Saint Petersburg. 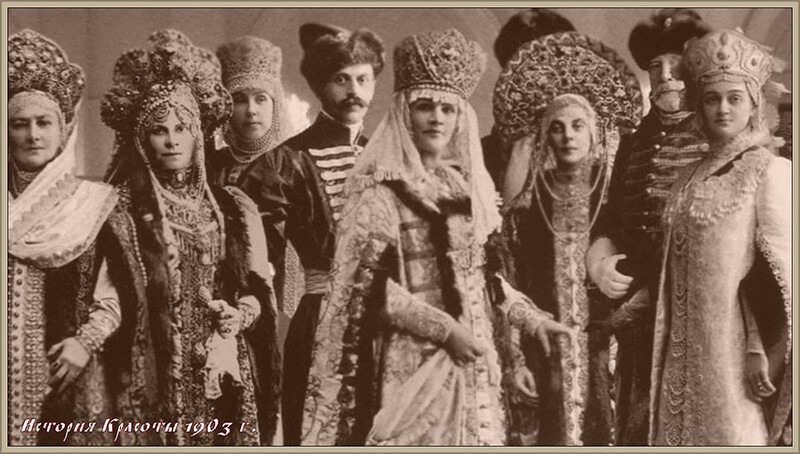 390 persons came to the ball, and every one of them was dresses as royalty of pre-Peter Russia. 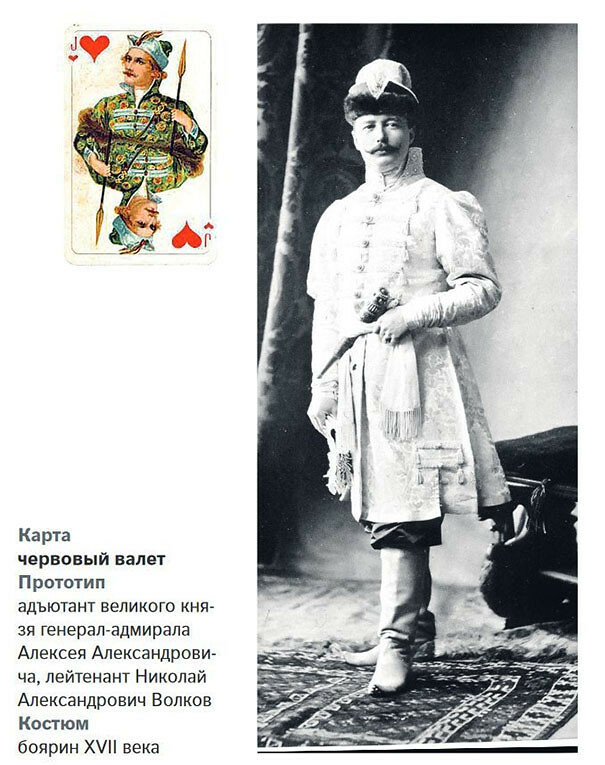 The costumes were designed by a Russian painter Sergey Solomko, and were made by the best tailors. 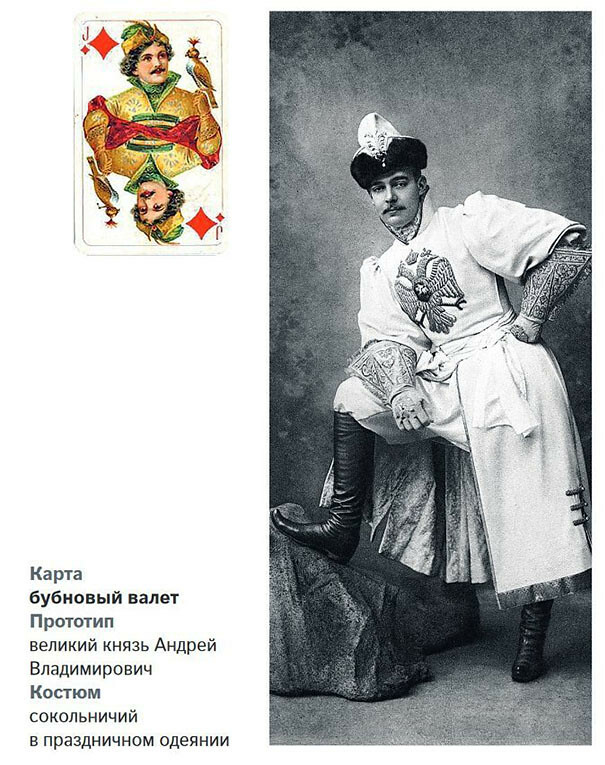 In 1911, the craftsmen of German “Dondorf” factory made the sketches and the deck had finally seen the daylight in 1913 in honour of the 300 year of the House of Romanov.